Today, I’m going to talk to you about a company called Fashion 220. Being a male, I am not in the habit of asking women what brand of makeup they wear. Oh, I may offer a compliment on a lovely odor that awakens my nasal cavities as she strides by only to get a smile and told what brand the fragrance is, but that is usually as close as it comes. But, I must admit that when women are jabbering about their favorite make-up brands and there are no other men present to talk baseball, football, fishing or any other thing we men talk about, I am forced to take in the information about the various make-up brands. Of course, there is always one woman trying to attract customers for her Avon business, and another for Mary Kay, but recently I heard a brand I was not as familiar with and after seeing eyes and ears of other women light up to the great prices in comparison to other direct sales make-up brands, I decided I needed to research this company and their products. I speak of Fashion 220. As you scroll down, you will learn about the history of Fashion 220. I will tell you what I can about the company. I will also share a review of the Fashion 220 products. 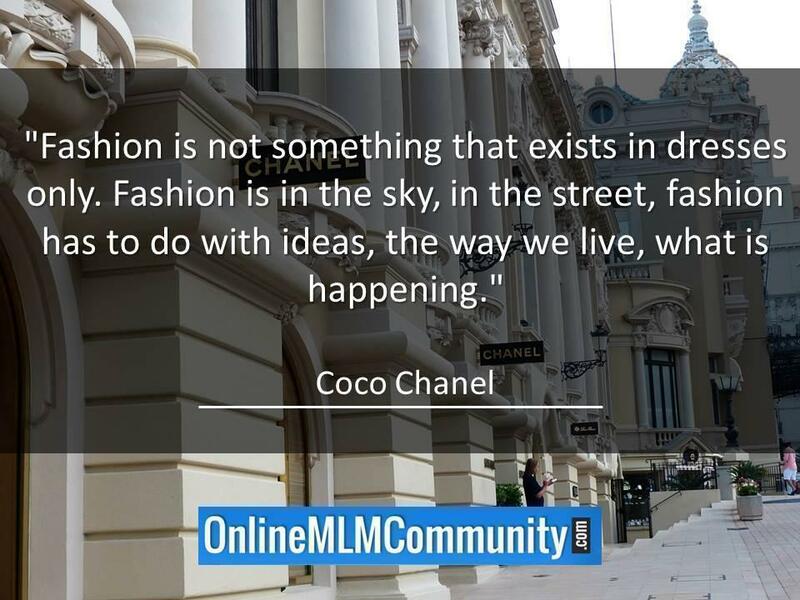 Keep in mind that neither I nor the Online MLM Community is affiliated with Fashion 220. 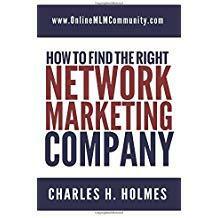 I am providing this review as an educational resource, and we are in no way compensated by this company. So you are receiving an unbiased look at Fashion 220 to help you decide if you would like to use their products or become a Fashion 220 associate. In 1980, Fashion 220 found themselves in deep financial despair and filed Chapter 11 bankruptcy. One of the major issues the attorneys brought to the court was the agreement that Distributors who paid $10,000 to maintain a place to sell the Fashion 220 products, and they would purchase $4,000 or more of the products monthly would receive their products at 70% off retail. While the court process was quite lengthy, the court did finally agree that Fashion 220 made a major error offering this system in 1962 and it was deemed a financial burden and the contracts were dissolved. Fashion 220 did not disappear completely, but major changes were made. Another Ohio based company called Natural Essentials Inc. took over Fashion 220. The fact is: the founders of Fashion 220 had a desire to help others and also supply high quality skin care products. When Natural Essentials took over Fashion 220, they wanted to keep a similar system, but still make profits doing so. It is my understanding that the quality of the Fashion 220 products has not diminished, but the direct sales system has changed somewhat. Fashion 220 does not have “levels” per say anymore. Everyone who joins the Fashion 220 system is an Associate. To become an Associate, there is an enrollment fee of $36 every year. So essentially, you can start your own business for $36 plus the cost of products to sell. Associates with Fashion 220 receive some fantastic discounts. When an Associate sends an order of $50 to $350, they receive a discount off the retail price of 30%. If the order is $350.01 to $1,800, the discount is 50%, and if over $1,800, the discount is 55%. You visit friends and family and get orders totaling $270. When you collect the payments, you will send in $189 and you make $81. You have samples of the products and you throw a party. Orders flow in and when you total them, they add up to $880. Guess what? You only send Fashion 220 $440 and you make $440. What a fun party! Or, let’s say you start a storefront. You order $2,000 worth of products but you will only have to send Fashion 220 $900. So as you can see, the profits you make can be huge. This also gives you room to offer periodic specials to your customers too. Fashion 220 does offer Associates periodic specials too. As an Associate, you can carry a Fashion 220 catalog and take orders from your friends and family, or you could simply purchase products and resell them at retail prices. What’s more, a huge selling point is the fact that all the Fashion 220 products are manufactured in the United States of America. Fashion 220 has an extensive line of products made with extreme care. I will take you through the line and explain some about each one along with the retail prices. GSL Wrinkle Cream – $39 – A night cream to diminish wrinkles. Body Velvet – $8 – A body cream that restores moisture. Cleansing Cream – $14 – A cleanser for removing makeup and toxins. 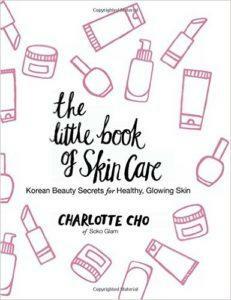 Cleansing Lotion – $9 – A cleanser for acne prone areas. Collagen Cream – $22 – A great day cream and makeup base. Collage Herbal Gel Masque – $10 – A weekly masque to firm your skin. Eye and Throat Lotion – $21 – Made to use around the sensitive areas and has many vitamins. Facial Scrub – $10 – Made with aloe, it cleans deeply to leave your skin fresh. Formula 19 – $9 – This is a high power cleaner for heavily damaged skin. GSL Cleansing Activator – $29 – Removes the excess oils on the skin. GSL Eye Cream – $29 – Helps to erase lines around the eyes. GSL Moisturizer – $39 – Helps hydrate your skin before makeup application. GSL Night Cream – $39 – Helps renew your skin while you sleep. GSL Skin Freshener – $15 – Helps tone your skin without alcohol. Moisturizer – $22 – This is one of the first Fashion 220 products. Night Cream – $22 – This is also one of the original products. Skin Freshener – $12- This is a great product to use before applying makeup. Udder Balm – $5 – This is a protective balm with lanolin and aloe. Powder Puff – $6 – Great for applying powder. Sponge – $2 – Just dampen to refresh your makeup. Powder Brush – $8 – Made with goat and pony hair to apply powder. Powder Pad – $2 – A firm cotton pad to apply powder. Lip Liners – $8 – This retractable liners come in a wide variety of tones. Lip Shine – $10 – Used over lipstick, these create a shine. Lipstick – $8 – Also a variety of tones. Eye Liner – $8 – A retractable liner to even your eyes. 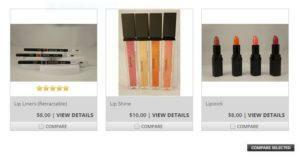 Mascara – $9 – The Fashion 220 mascara is a popular seller. Doesn’t smudge and lasts long. Mineral Eyeshadow – $14 – This loose powder is also popular. It creates a subtle rainbow of color. Pressed Powder Eyeshadow – $7 – Comes with a compact mirror and a variety of tones. Protein Shampoo – $5 – A high quality shampoo to cleanse your hair. Protein Conditioner – $5 – This conditions your hair for a day’s activities. 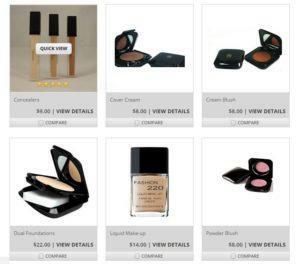 Concealers – $9 – Hide those small blemishes. Comes in light, medium and dark tones. Cover Cream – $8 – This cream covers bigger facial problem areas. Cream Blush – $8 – This blush comes in a variety of colors and also comes with a compact mirror. Dual Foundations – $22 – In multiple tones, this can be used either wet or dry. Liquid Makeup – $14 – This foundation is long lasting. Powder Blush – $8 – Similar to the cream blush but dry. Translucent Powders – $13 – The final makeup regiment, these powders provide the perfect smooth texture to take you through the day. All of these products provide a great fragrance that will turn heads. When they ask what that delicious odor is, you can open up to a great sales pitch for your Fashion 220 home-based business. I just wanted to let all of my website readers know that my neighbor in Florida sold Fashion 220 for 17 years, back in the 1970s. She was very successful with the company. She said it was a great experience, quite profitable and very satisfying. I will see if I can persuade her to do an interview with me and put it on this page. When I look at these prices, I am quite impressed with Fashion 220. When you consider everything, an Associate could make great profits selling these high quality products. The prices are comparable to what you could find in any store. We would love to hear from any Fashion 220 customers or Associates. Tell us what you like and dislike about the products, and please share your favorite Fashion 220 products. I am so glad I found this article. I used to host a lot of party’s back in the 70’s. Moved away and lost touch with my distributor. The product was indeed great. Was wondering if it was still in business. I was wondering about a certain perfume I thought was sold by Fashion 220. It was a small bottle that came with a pink Qz in it that could be taken out of the bottle after the perfume was used to be mounted in a ring or earrings or a pendant. I might be thinking totally of another company. The bottle has an odd shape like a diamond cut. I found online that it has a ZIG ZAG label on it. Anyone know of this? Thanks so much. Back in 1969 or 1970, I was only 5 years old and turned 6 in September of 1970. The year before, the music for the Pink Panther was very popular, and we attended a party at Mrs. Daling’s house where she had a pool. I remember the fragrance I smelled, and didn’t know the name. In 1976, just after I returned to the U.S. from France, I smelled the fragrance, and when I asked the lady at the clothing store what it was, she said it was “Fashion 220.” It had the most wonderfully clean, crisp scent that I would describe as a floral-spicey scent. Since then, I’ve been trying to find a dealer here in Georgia, but apparently there isn’t one. I so wish I could find this fragrance, not to mention the skincare and makeup sound like something I’d like to try later. I don’t wear makeup, because my skin is so sensitive to so many products, so I’d have to try everything before I could buy it. It would be terrific if I could hear from someone about the cologne, and I’d love to get my hands on the one I smelled. I know it’s a cologne, which is the weakest form of perfume, but I’d especially love to know how it’s made. I suffer with Trigeminal Neuralgia, so it’s important that it doesn’t have any aldehydes, as they can cause a flareup. I have no way to contact Mrs. Daling, (pronounced “dayling.”), and I don’t even know if she’s still with us. I would be so grateful for any information and assistance. Thank you so very much. Great comment, Heather. I’m not sure if this company is still in business or still offers those products. One of my neighbors used to sell, but she did so like 30 or 40 years ago. Perhaps you could try eBay. I can’t think of anywhere else to get it. Fashion 220 if I remember correctly was a product that was made for women on the go. Given that it began in the 1960’s, that’s no surprise. I remember a consultant at our home doing a show. Her big selling point was you can put on your make up and using something to “set it”, it was good for hours. I remember her saying that someone who worked an on call ER nursing job used to put her makeup on and go to bed, waking to rush to work she’d still be beautiful, with little to no touch up. In addition the makeup used to be in a carry all that could fit an overnight outfit, similar to those round luggage carriers. Very cool hearing your story about Fashion 220. Thanks for the comment. My Mother used it for about 40 years, until her passing in Sept 2017. Her skin was incredible!!!!! Maybe she had great genes but she really believed in taking care of her skin and she and used Fashion 220 faithfully….wish I would have. Anyway, she was almost 85 and her skin looked amazing. She had very few wrinkles…..less than me….lol. My sister returned to using it after trying a bunch of other products that make big promises but didn’t deliver. Now, I’m thinking I’d better give it a try!!!! Great story. Thanks for sharing it with our visitors.